Depending on whether you want me to record, mix or master* your project, or any combination of these, not all questions below will apply to what you need. If you answer the ones that do, I'll get back to you with an estimate. 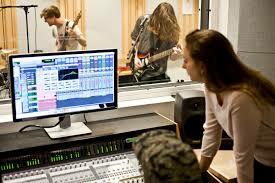 * Mixing is blending the recorded tracks into a stereo master track that can be played anywhere. Mastering is further enhancing the sound to either make it "radio-ready", or ready to release as a CD etc. What is its purpose, who is the audience(s) it's aimed at? CD or mp3, or both etc. 3. If music, how many songs? 5. Do you have music tracks to sing to or will you need them created? A producer? An arranger? Musicians? A producer runs the whole project, gets the best performances, sounds etc. An arranger chooses what instruments are needed together with what and where they play. 7. If musicians, which instruments do you need? Also let us know if there are there any players that you'll supply. Anything else you'd like to tell us about your recording project? Apart from mixing tracks recorded at my studio, I often mix songs where the tracks were recorded in the artist's home studio, as I have so many more tools, and decades of mixing experience available, and I can bring them up to a new level. Typically, how many tracks per song? If recorded elsehwere, what program were they recorded in, and what format are the files in? Anything else you'd like to tell us about your mixing project? If mixed elsewhere, what format are the files in? Anything else you'd like to tell us about your mastering needs?